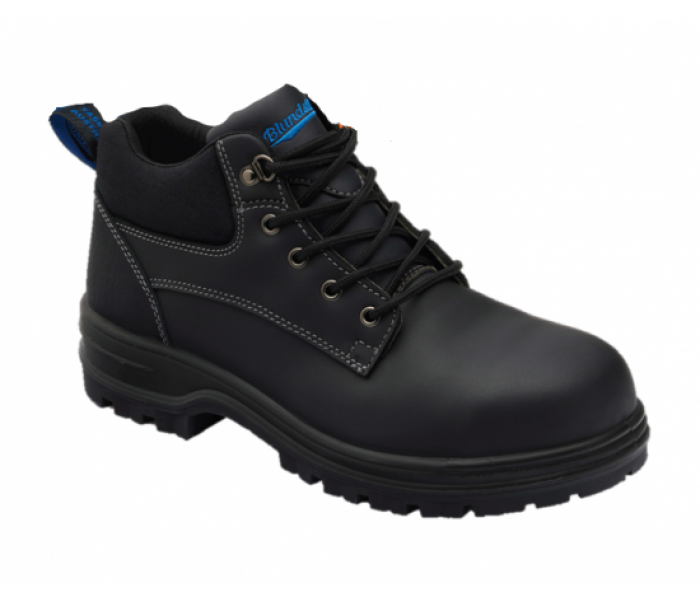 A new addition to the range, these boots are great for uniforms and general work. 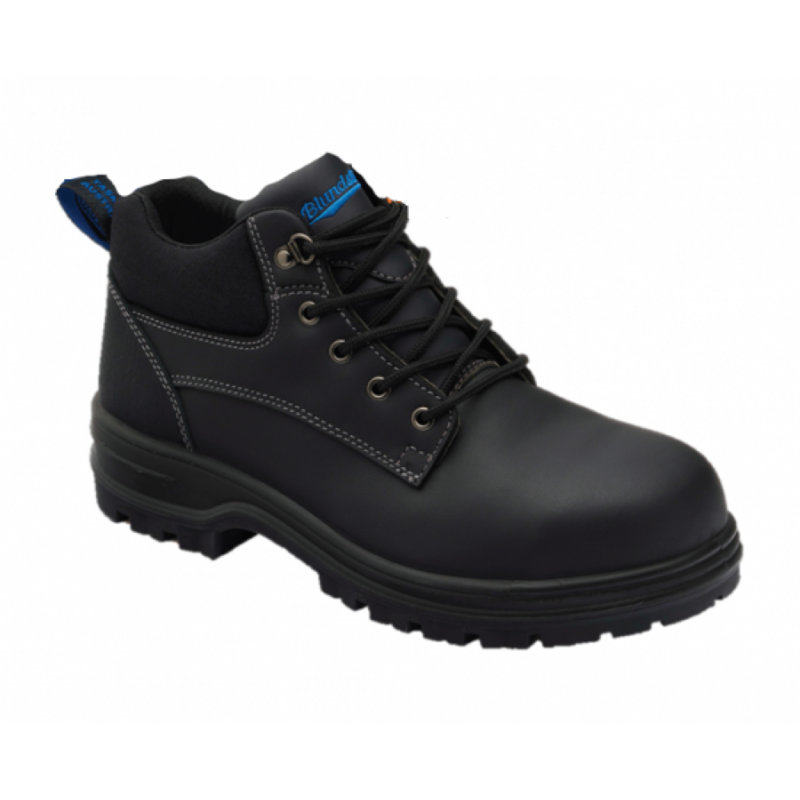 Black water resistant leather, 95mm height lace up ankle safety boot. Heel reinforcement for extended wear protection. Polyurethane midsole. Thermoplastic polyurethane (TPU) outsole highly resistant to hydrolysis and microbial attack. 6mm tread—oil, acid & organic fat resistant. Heat resistant sole to 140˚C. XRD® inserted into both the heel and forepart of the sole construction. Removable luxury footbed with arch support and the revolutionary XRD® for supreme shock absorption. Footbed is antibacterial, breathable, and washable.